Print out the Snowman blueprint (right) then cut it out, fold along the lines and glue the tabs to get your own snowy desktop friend! When you've got a fantastic photo or super selfie with our snowman in it, send the picture to [email protected] and we'll put our favourites online. Who knows, you might even make it onto one of our emails! 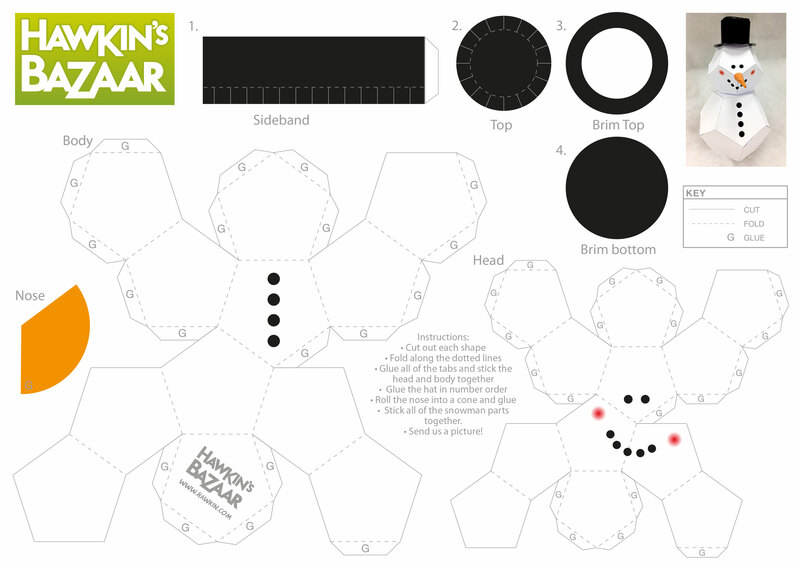 Click links opposite to download JPG or PDF versions of the Snowman blueprint, ready for printing and cutting.